Willcox Guitars announces that guitarist Anthony Terrezza has joined its Team of Advisory Artists. Born in a family of musician (with a recording vocalist father and a concert violonist grandfather), the versatile California-based instrumentalist whose styles encompass jazz, fusion, rock and R&B will now be collaborating with Willcox’s R&D and other members of the brand’s Artist Advisory panel, providing input on the brand's future generations of products. 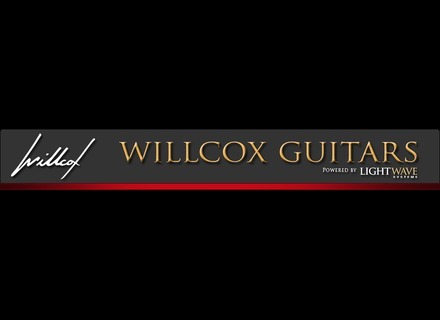 More information can be found on Anthony Terrezza’s artist page on the Willcox website: http://willcoxguitars.com/anthony-terrezza. Willcox Atlantis Thinline Edition Willcox Guitars introduces the Atlantis ElectroAcoustic Guitar Thinline Edition.